Dr. Arcila accepts the following list of insurance providers. Select your insurance provider to see more details. I am an anatomic and clinical pathologist who specializes in molecular genetic pathology and hematology. As a molecular genetic pathologist, my work primarily involves the study and detection of genetic changes in cancer tissue. These changes can be used to diagnose and confirm the presence of individual cancer types and help tailor patient-specific treatment, determine patients’ prognosis and risk of recurrence, and monitor their disease once they start therapy. As a hematopathologist, I work closely with our clinical colleagues to diagnose diseases that affect the blood and the lymphoid systems. I directly examine tissue and blood samples to diagnose, stage, and monitor hematologic cancers including leukemia, lymphoma, myeloma, and other diseases at both the morphologic and the molecular levels. 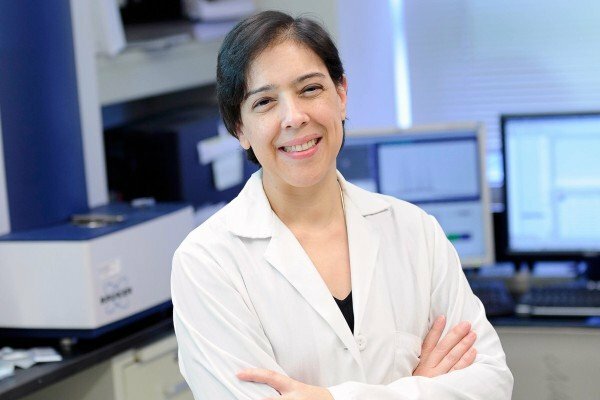 My research is focused on the molecular changes that fuel the development of lung carcinoma and the search for possible therapeutic and prognostic markers in patients with this disease. Because of this interest, I have become directly involved with the expansion, validation, and implementation of clinical tests at Memorial Sloan Kettering to detect mutations relevant to the management and treatment of patients with lung carcinoma. In addition to my clinical interests, I am a medical illustrator. Visit PubMed for a full listing of Dr. Arcila’s journal articles. Pubmed is an online index of research papers and other articles from the US National Library of Medicine and the National Institutes of Health.